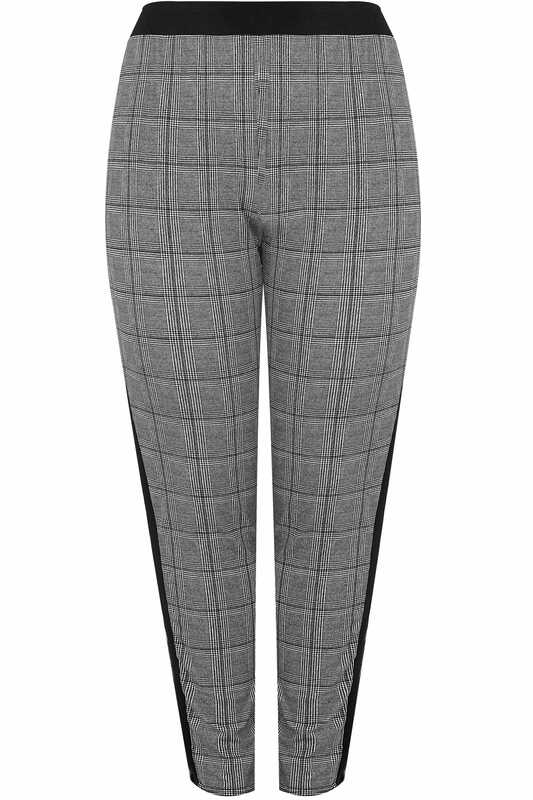 Update your office-to-evening wardrobe with these chic trousers. 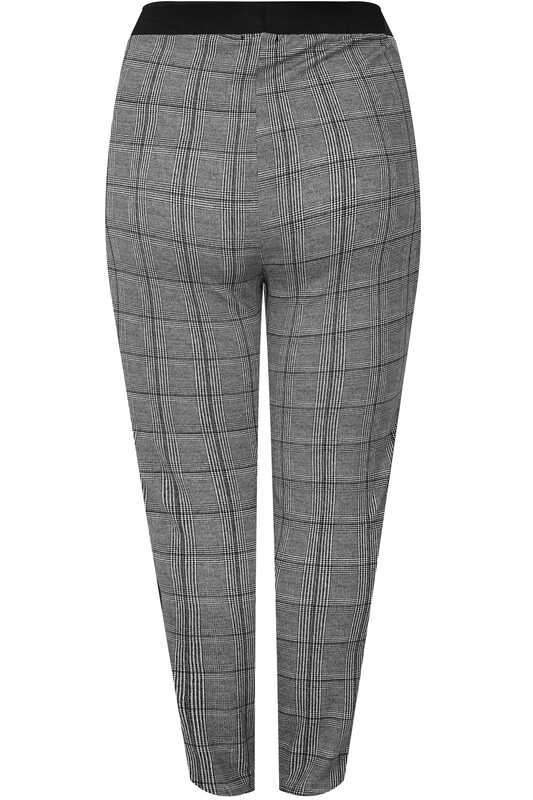 In a tapered style slimming through the leg, they are made from a stretch fabric and feature an elasticated waistband for the ultimate all-day comfort. Keep your look cool and casual and team with a simple tee and trainers or dress them up with a blouse and heels. 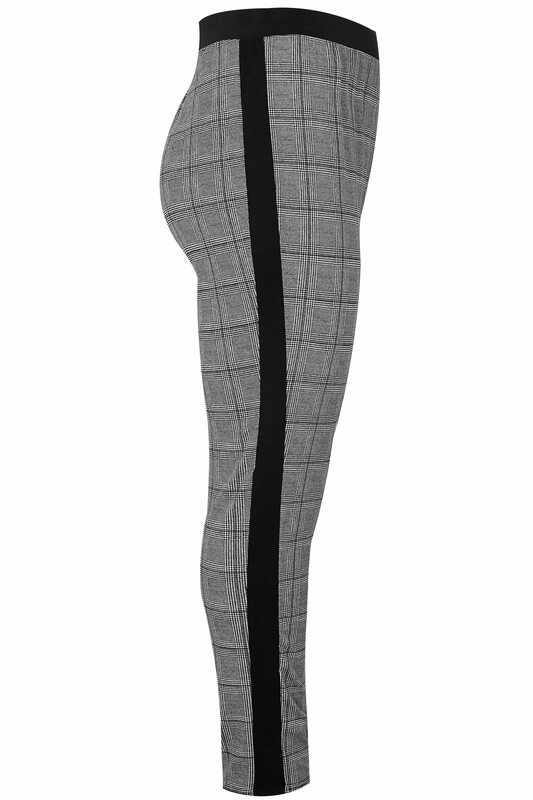 On-trend this season, we love the monochrome checked print and side stripe.